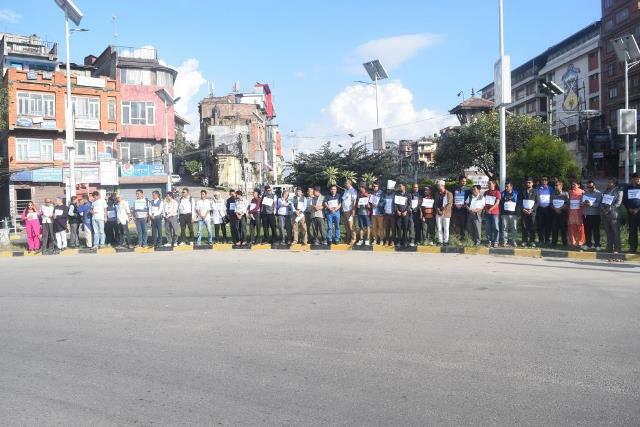 The human rights activists and members and representative of civil society have staged a demonstration in Maitighar Mandala on October 3 with the objective of exerting pressure on government to initiate early release of Dev Narayan Yadav of Saptari without any condition who was arrested by the Indian security force. 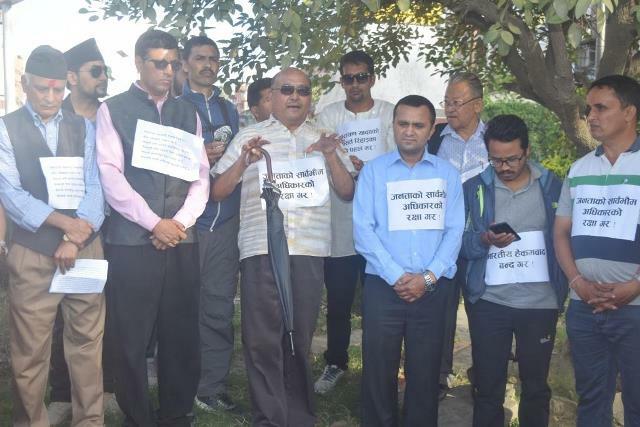 During the demonstration program, INSEC chairperson Subodh Raj Pyakurel accused that Yadav was arrested by the Indian security force just because he showed his patriotism and said that this is the example of atrocity by the Indian security force. 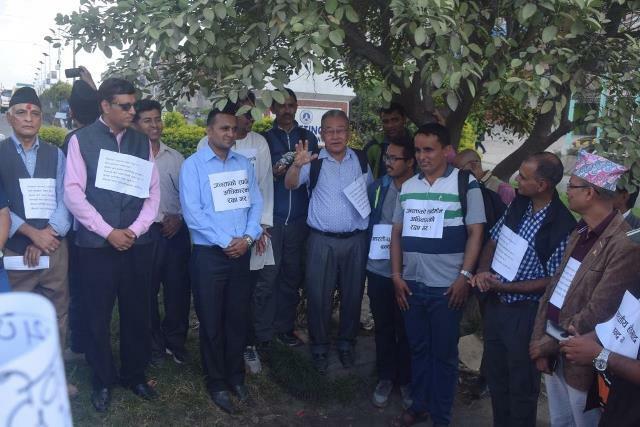 Senior advocate Shambhu Thapa expressed his view saying that it is necessary that government must protect the family of Dev Narayan while going through a legal process. 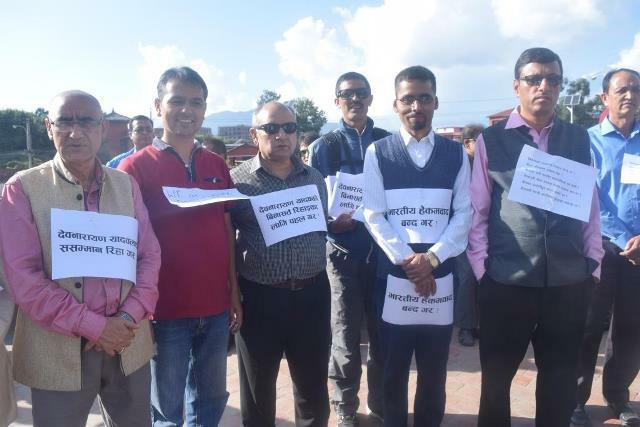 Foreign affair expert Hiranya Lal Shrestha urged government not to be silent on this serious issue and solve this through diplomatic mission and dialogue. He added that India has made illegal barrage in Nepali border and all intellectuals must condemn this deed. 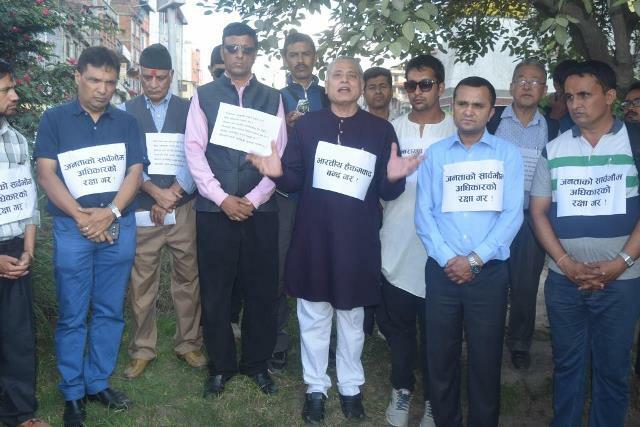 Senior advocate and former chairperson of Bar association Nepal ,Tika Ram Bhattarai urged government to initiate the release of Dev Narayan Yadav. 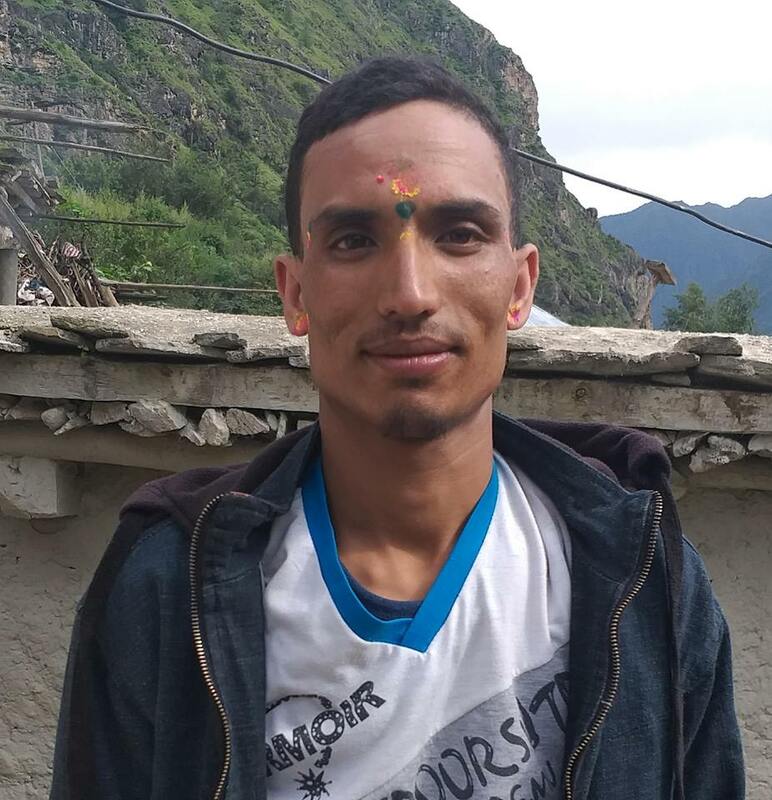 Dev Narayan Yadav of Saptari, Tilatha Rural Municipality-4 was arrested by the Indian security force from the border of Indian Bazar of Kunauli on October 1 while he was on the way to gather information about the arrest of his son Ajaya Kumar by Indian Security Force on same day.